It appears to be conflicting information about which days are starred. 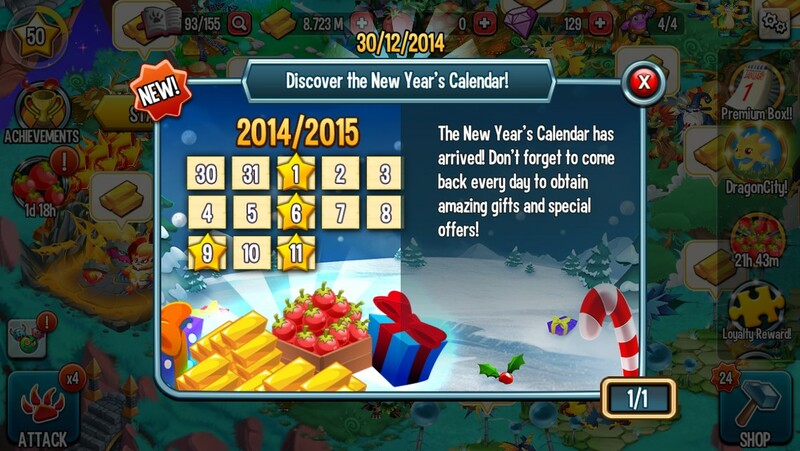 Here you can see in the announcement there are 4 starred days. In-game though, there is only 1 star. 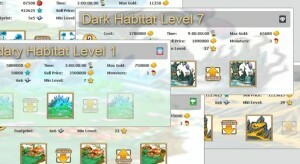 Habitats are just one half of the equation when figuring out how to earn the most Gold. The Monsters you put in them can vary dramatically in their earnings per minute. Filling up your Habitats with the right Monsters can mean you earn several times more Gold than using the wrong ones. That can make a huge difference in how long it takes to save up for expensive upgrades. So be sure to check out Monster Legend Guide’s Earning List to find which Monsters will fill up your Habitats with Gold the quickest! Once you have the monsters you want to fill your habitats comes the leveling. As monsters increase in level, they earn more gold, gain better skills, and can help you win fights in the Adventure Map and Combat Arena. Leveling up requires lots of food, and Temples to increase the level cap for your monsters. Each monster has their level cap determined by the lowest level Temple that corresponds to one of their elements. So if you have a level 8 Light Temple, but only a level 2 Dark Temple, then your Fayemelina would be capped at level 20. Careful planning on which Temples to build and upgrade first is an important aspect of the game! 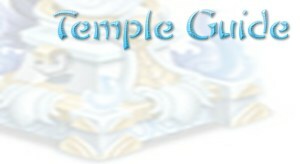 Use Monster Legend Guide’s Temple Guide to help you chose the right Temples to build and upgrade! Now that you’ve got an idea of which Monsters you want to fill your Habitats with, go on over to Monster Legend Guide’s Breeding Calculator to find out the best combinations to get them! 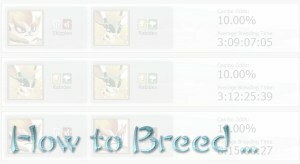 Or use our new How to Breed pages to find out the quickest way to get any dragon! The combos give the percent likelihood of getting the target dragon, as well as an estimate of how long it will take. Because of how “misses” vary in breeding time, these estimates can save you days of breeding even when the odds are similar, so go check them out! Habitats and how much the Monsters in them earn are the engine that drives the economy in Monster Legends. 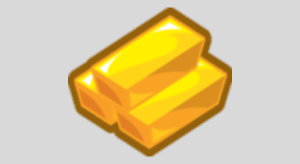 Using the right Habitats can dramatically increase the amount of Gold you can earn per day. There’s limited space in Monster Legends, and a cap on how many Habitats you can place, so choose which Habitats you use wisely! To help you make the right decisions Monster Legends Guide has a Habitat List with all the information you need! Sort the Habitats by Element or Level, look at all of them at once or just one at a time. So what are you waiting for ? You Need a Lot of FOOD! Can anyone explain how 3 runes of one type crafted with one rune of another bred the next level in the one and not the three? How do I just get the normal lemme dart monster? ok monster lvl’s common lvl 40 max uncommen lvl 60 max rare lvl 75 max epic lvl 90 max legends lvl 100 you need to lvl up the temples for the legends all other monsters only lvl up so far. I was wondering how you get 3 waves of fighters in a battle. Does anyone know why my common monsters only go to level 40 eventhough my temples are leveled up? Whats the benefit to adding friends? Really? Care to share how? i am looking to bread metal monsters and there is no guide? What does it mean if there’s no time given for two monsters breeding? How do you get monster power in order to join a team? Does anyone know how to give another player a monster??? Update site Ledovech + Aiden = Varuna. Update this site, many monster that are in-game that are not on this wiki. Also Cthulhu + Obisdia = Nebotus. how to put egg in storage??? Add me as a friend!!! Add me and let me know you’re adding me because of monster legends. Send friend request and leave message you want to be added for monster legends… I’ll add you..
Add me! I also play daily. Thanks. I just realized that two of my monsters have the same name. I have been letting the game name them. I have cahnged names on 1or 2 monsters but it won’t let me change names on the two who have the same. Is there a point or level at which I can no longer change them? how do i beat Mighty Nathura? I have a few breeding guides for the Metal monsters. How do I get them to others who want to breed them…. It seems like none of the sites have updated this since their inception. how do u breed a arch knight? I see a reset section in this game, but am not sure that means the whole game will also be reset, or is it just facebook settings. How do you make number 77 please help me? how to make hero lv100? My wizard I have had for over a year now fails when casting mass haste, why does this happen. The AI opponents rarely, rarely fail whatever they cast. I can’ t get my maxed out wizard to successfully caste mass haste. Why did they ruin this game? I am so bummed. Please add me as Friend. How can i breed white walker? I need friends on monster legends. How do get to be able to send more than one wave in the arena? add me I need more friends to play with.!!! I’m new to monsters legends. Add me please. Daily player. Add me please everyone 🙂 active player! How to breed guide says to breed Musu and Terracrank to get Duchess. I have tried many many times and all I get are more Terracranks. Can someone PLEASE tell me what is best to breed for Duchess? Thank you! New to monsters, add me please. Please add me if you play Monster Legends &/or Dragon City. Is there a way to cancel breeding? Add me… I play everyday… Obsessed..
How do I get into my inventory bag, I have eggs in their? what dragon that can breed irockman? How can i view my friends habitats? I did it before I just can’t remember how to do it, thanks alot!! Play everyday almost all day both pc and droid. Add me. How do you use your special attack when your in a fight !? i have troubles in breeding monster please tell us the exact monster to breed? post them if you want thanks…. Can anyone tell me how 2 kill the pure dark dragon and the forge dragon? Does anyone know what takes 16 hours when you breed Shi Hou and Genie? Rudicius + Raydex = 35 hr any clues as to what I may get ?? My son did .99 cent booster pack and it charged my card 2.99 5.99 and 4 .99 cents so four more dollars almost 14 dollars how do I get ahold of this place? If you need a friend in Monster Legends, I am a daily player, add me if you like. Also, why do my opponents in pvp get 3-4 special attacks in one match, when I don’t get even one through 3x matches? I got VADAMAGMA at first try by breeding skipples and dutches (BOTH SAME LEVEL) …. Yow what should i do first. Upgrade my hatchery or buy breeding tree? I ahve a problem my razheeshes stucked at breeding breed8ng is f8nished but they are still there and i cand feed them . add me one time plzzzzzz? How do you breed skipples? Francisco. Lo que yo hago es que tengo mis monstrous en cierto nivel(50) y ataco dos veces , pierdo y la tercera la uso para robar comida. Asi mantego mis trofeos muy bajos y tambien puedo sacarle probecho. Add me I play everyday and am a powerful player..
I’m new to ML and I’m so glad that I found a Breeding Guide that will give me what I’m looking for rather than experimenting with breeding just to get the same thing over and over again. I don’t mind because I can sell what I don’t need. I want to get the full experience of the game and waiting makes it boring. Thanks for breeding pages. Upgraded the game and was back to level 1 from level 22.. Is there a way to be back to level 22? Tell or ells?how to get drop elemental grrrrrrrrrrrrrrr!!!!!!!!!!!!!!!!!!!!!! hey everyone playing legends is the dungeon only working on the mobiles? What are the odds of getting an egg on the roulette on Random Battles on Adventure Map? Meus cruzamentos dão 90% errados. please help me how to get a legendary? Why my monster dosen’t get skill when i have lvl 30 ? Add please!! I’m a daily active player and will benefit you with gifts and help. Can somebody PLEASE help us breed Arch Knight (the last Legendary on the last page of the Monster Book) and the new monsters on the last page of the Monster Book? Otherwise, I am just giving up on the game and leaving, even after collecting ALL of the BREEDABLE monsters. I am NOT going to PAY MONEY to get the last Legendary and new monsters – NO WAY! Please add me, I’m a daily player. OK so i just saw a post that involved an Ultra Breeding Tree not working and now its gone…..I have 3 slots on my hatchery, but the Ultra Breeding Tree is only letting my breed one at a time….I put it in storage upgraded my hatchery to 3 slots, pulled it back out of storage and its still only letting me breed once…..what to do!!!!!!!! !Now……anybody out there with any tips? Anyone else have a Komocat? Or know where it came from? Ant possibility on hatching times available? Any idea how to get Esthriel or White Walker? Razfeesh and Rabidex still make Lord of Atlantis or do i have to get Drop Elemental instead of Rabidex? which one is most powerfull monster?????? I just saw when looking through another site the Monster Legends Teddy Fear..I have to have one!!!! I collect teddy bears..not just any bear but bears from all over the world and of all different materials, colors, fabrics, furs, etc. I absolutely LOVE that Teddy fear monster. Can somebody PLEASE tell me it is still possible to get one somehow….breeding, purchasing….somehow????? I love it, love it, love it! HELP! Hello, I would like to know how to get this 2 monsters : Terracrank and Duchess? jugadores de monter legends no compreis el estadio sera vuestra ruina ,mientras tu ahorras otro jugador te quitara el oro que tu con tanto esfuerzo heces para comprarte lo que necesites y otros se llevan todo tu esfuerzo.Es un juego de venganza haber quien roba mas a quien. Which are the best monsters to feed to high levels? I got a firetaur early from the battle islands but at level 50 it just gets wiped off the playing field too easily with its low hp. I don’t want to make the mistake of feeding another monster up so high to find out it too fails in battle. So do I have to wait for legends to be sure I have good battlers or what? Which monsters do others have success with say above level 50 progressing through the islands? I can´t breed legendary monster and have skipples+ duchess and its maybe 4-5 weeks what I breed and legendary isnt here…. How much long I must wait for one legendary? Its monster level important to breeding? My skipples+duchess have 11 lvl and I dont know if it is possible to do legendary… Who has next tipe for me on legendary? (add for more friends, more friends= mroe funn) 🙂 Thanks. My son changed the language to spanish and now I can’t figure out how to change it back. can anyone help? Thanks. Please add me for ML & DC friends. how to get my prise in monster legend? how i can do the darknubis ? Add me. I am an active player!!! Add Me Please 😀 I play often !!!! I’ve played to level 10 (actually past it now) and I am unable to get my Monstruous dragon in Dragon City. Help?! This morning the changed the cost and time to upgrade habitats everything was reduced by a lot. i have hatchet a darkzgul!!!!!!!!!!!!! I GET ” FAYEMELINA” AT LVL 18…………. So I think I’m getting a legendary (Obsidia+Flawless= 2 day breed time)- but do they require a legendary habitat or can they go in the secondary element habitat? I cannot load and login to Monsters…keeps saying “cannot load. we are experncing problems right now. is there a computation on how much someone can steal from you when you do not have a shield? its really hard to save up gold and food when someone will just steal everything. or is it just random? I have a question. I just encountered in monster Legend match a light/fire monster who appears as a superhero with wings and a axe. I tried to breed him and got an egg that has a breeding time of 36 hours. I can’t find a light/fire that would take 36 hours in the guide. Is this a new character? please joseph tell me how to get arch knight and thordor i am breeding several times not get these please help me……………………..
hey i have got a monster which’s breeding is 3:00:00(3 hours)..???? How do I use a monster’s special skill? what time the monster legends will get back ?? plss reply asap ..
thus a legendary monsters nemestrinus & vadamagma can live in nature & fire habitats? thanks! I cant find any guide about rune here? Now I’m lvl 20 should i build rune to make my monsters stronger? 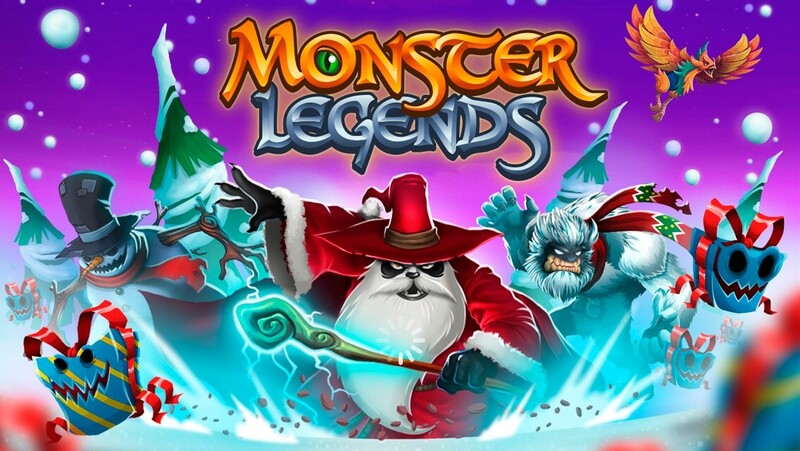 is the monster legends game playable in android phone? can you put an information about element boost building?? sry my english is so bad..
Lots of new updates to the game today. Monster earnings have been updated. Lots of Nature habitats with Pandakens is the way to go to earn Gold. Farming food is a fast way to earn XP! Should speed up the early game a lot! hi, do i need a legendary habitat for a legendary monster? for example vadamagma, or can i put him on a normal fire habitat? can u help me to breed darknubis and darkzgul? i really wish to hav them all, thx. how to get fast golds^^ ? how to get lord of atlantis? how to get all?hahahah im joke!!! why! why! why! why! why! I’ve got 2 friends who play.. so please add me! i play daily. only 4 of my 550 friends play this!! Please add me, play daily! Just found this game and LOVE it! My roommate and I are having competitions all day! And we are retired! Just goes to show this is a good game for any age! Right now we are into breeding to get the ones we want! Add me pls i need active player! Can you give me some idea for earning more gold to buy a legendary habitat(damn expensive 5M)? And how to build a ultimate team with what monsters? What monster must be breeding scorchpeg with rhynex????? wht does the bugged,blind and daze status effect do?? which monster is immune to the negative stat—SLOW?? wht does the runes building do………is it similar to dragon city’s training centre?? hey peoples. add me as your friend so we can have more friends playing this game together please. Hello. Please add me if you need in-game friends. I am currently level 16.
what monster is the most used,, and stronger than any monster??? want to win it badly!!! if i will let you choose what legendary monster you gonna get first?? hi everyone! please add me, I just started playing. Thanks! I need more gems and gold. starting to enjoy this game. haha! Need Some Active friends/Mentors to give tips. The updates to the site are awesome!! I wish I had all of this information a little bit sooner but nonetheless EXTREMELY helpful!! Thank you so much for putting all of your time and effort into making this such an amazing go-to page for all of my needs!! YOU ROCK Joseph Seeley!! A million thanks to you!! Dammit. The legendary habitat is too pricey for 5M! Got to breed a Vadamagma but can’t come up with 5M because of the stealing dudes at the PVP. Buying shield does not work for those you fought and retaliated. Help!